Power Rappelling over 120 feet of gushing waterfall .. experience the adrenaline rush..
One Day Experience to Waterfall Rappelling. Program Cost: Rs.1200/- per head. Local Simple Veg Meals (Breakfast; Lunch and Evening Tea/Snack. Camp Fee includes travel by private transport ex. Kasara; waterfall rappelling; introduction to basic rappelling and safety equipment's / procedures; Simple Village Veg Meals (Breakfast, Lunch and Evening Tea). For Private Transport Ex. Mumbai add Rs.1000/- per head. Attire: Dry Fits Track-pants or Tights, Cap, Rainwear (Poncho or Raincoat). Trekking Shoe or Tough Canvas Shoe (Running shoes will not work). Towel and One set of change clothes. Some Snacks (Fruits or Salad Items, Peanuts or other dry fruits, Chocolates, Idli or any of your personal favourite snack). Carry proper dry bags for all electronic items. Pack all items in Backpack and before packing them stuff them in double waterproof plastic bags. Signing Disclaimer is mandatory before any adventure sports. In case of cancellation of event on the date of event from our side due to Act of God, Man Made Disasters etc. You will have a choice to select an alternate date among the dates listed above. In case of cancellation from your side cancellation terms apply. 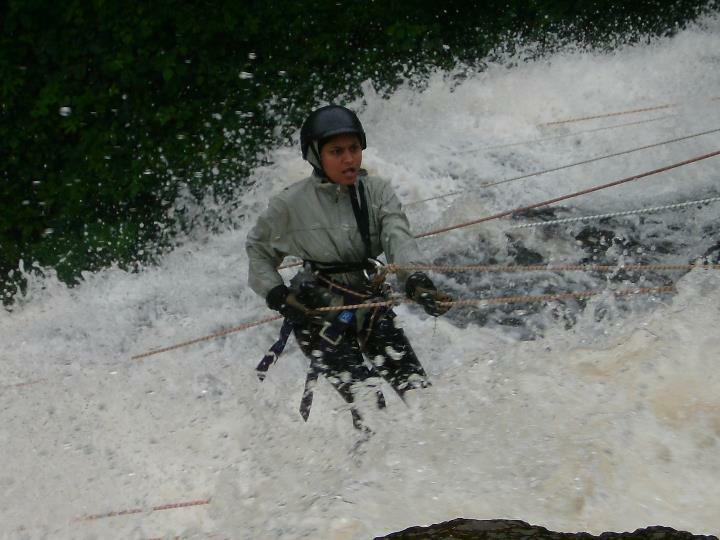 Waterfall Rappelling from 09:30 am to 4:30 pm.